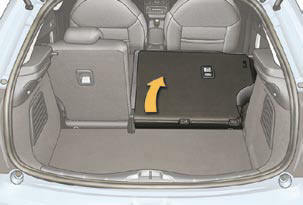 Bench seat with fi xed one-piece cushion and split backrest (left hand 2/3, right hand 1/3) which can be folded individually to adapt the load space in the boot. 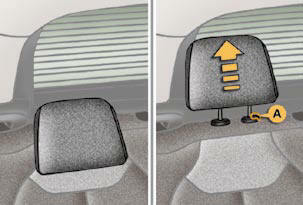 These have a high position (comfort) and a low position (rear visibility). 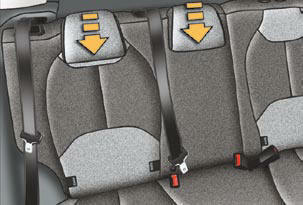 Check that the seat belt is positioned correctly on the side of the seat back. Pull control 1 forwards to release the seat back 2 . 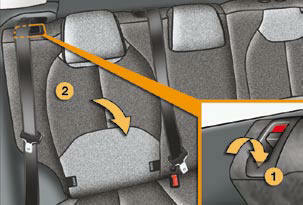 Fold the seat back 2 on to the cushion.